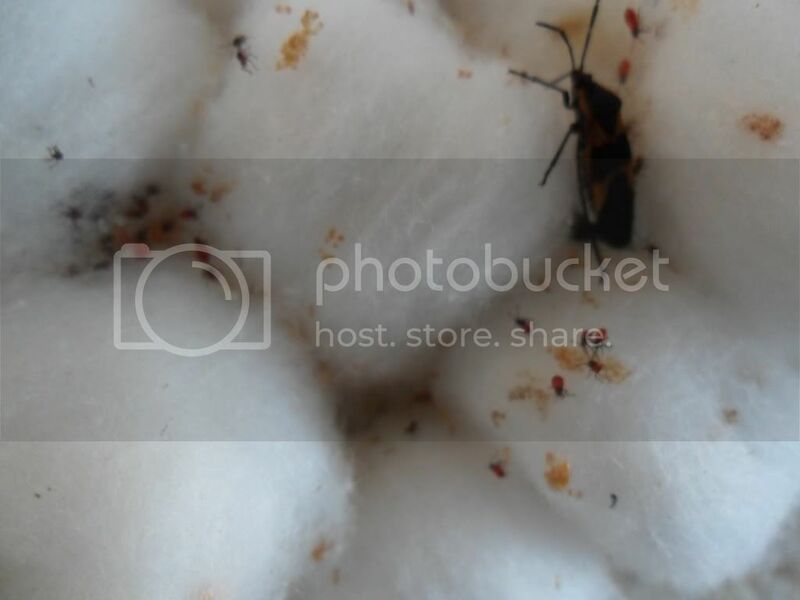 Just thought I'd post about a species I started breeding as an experiment but had success with - Milkweed bugs (Oncopeltus fasciatus). They make a great alternative to crickets and fruitflies and my dart frogs have readily taken the the first few instars. 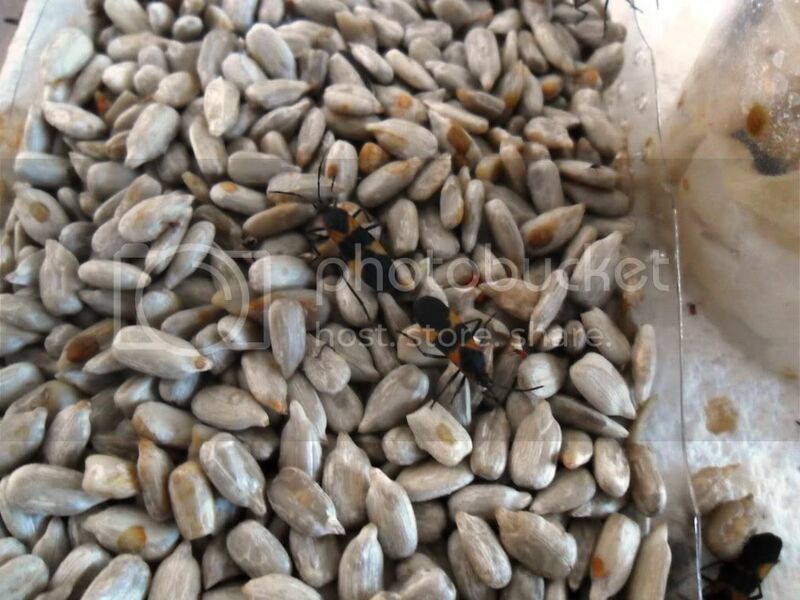 The bugs I breed are from a laboratory strain that can be raised on sunflower kernels. The native bugs feed on the poisonous milkweed and so should not be used. I have been raising them in a plastic container with a stainless stell mesh over some of the lid to provide ventilation (note the mesh should be fine as the hatchlings are very small). They are raised on dry kitchen towel with cardboard egg crate to hide under. A small plastic container filled with wet cotton wool provides humidity and a container with dry cotton wool is used as a laying medium. They are kept at 25-30C and at this temperature it takes around 5 weeks from hatchling to adult. 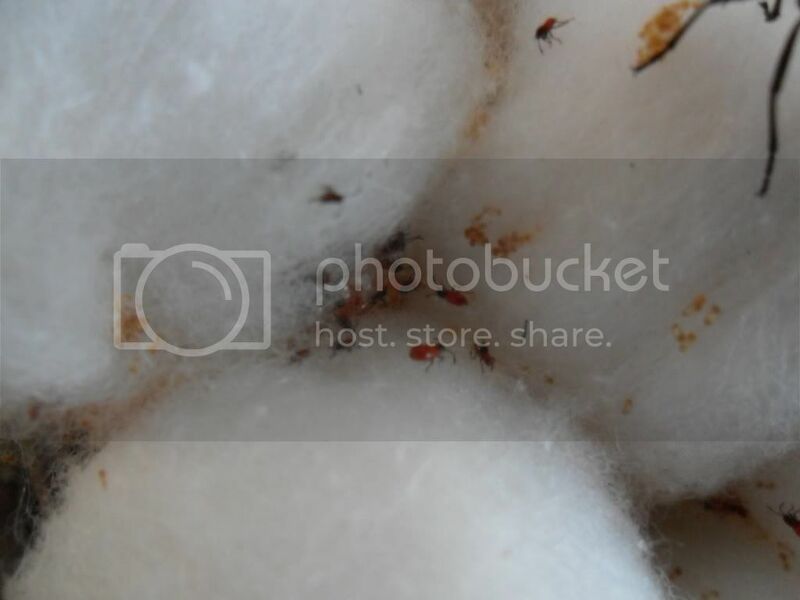 Adult bugs are up to 20mm. Up to 4th instar are readily taken (although I mainly use the smaller bugs for the darts). Apparantly the adult bugs are not taken by frogs because of their taste. So, how does one obtain these little critters? The wild ones won't switch over to sunflower seeds if forced to do so?